Lindsey Peckinpaugh, Principal at Perkins+Will, discusses current industry trends in the venue marketplace and those implemented in the three-phase, multi-level renovation at the University of Dayton. Lindsey Peckinpaugh, Principal at Perkins+Will - sports designers on the UD project, discusses current industry trends in the venue marketplace and reveals where the design team, led by architect of record Hastings+Chivetta, took its cues from to inform the current three-phase, multi-level renovation to the University of Dayton Arena. 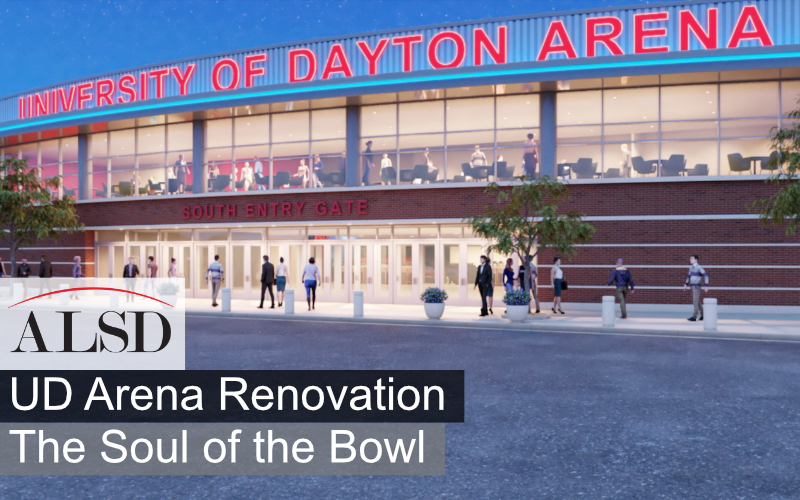 The design captures underutilized space for new and better distributed premium inventory, ADA seating, optimized space for more social interactive areas, expanded concourses and amenities, as well as upgraded piping and mechanical systems on geothermal wells to provide future flexibility to the 50-year-old arena, while also serving a rabid fanbase protective of the venue’s sentimental qualities during Dayton Flyers college basketball games, the NCAA First Four, community events, and graduation ceremonies.